Have you ever had a terrible kitchen disaster? One of my most memorable was when I got my first microwave and I was learning how to use it. I read the book on how to microwave oatmeal and I proceeded to make breakfast. The directions in the book were for one serving and I was making four servings so I put all of the ingredients in the bowl, put the bowl in the microwave and I set the timer for Four times the time specified in the recipe (it was four servings right?). The oatmeal bubbled along nicely and I spooned it out into bowls for the family and oh their faces when they took the first bite of my microwave oatmeal… I wish I had my camera ready because the oatmeal was terrible. 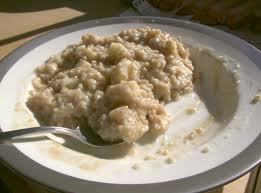 We couldn’t eat the wallpaper paste that was trying to pass itself off as oatmeal. My daughter put her oatmeal in the dog’s bowl. The unsuspecting dog took a big bite of the oatmeal and her face was priceless too. For the rest of the day our Scottish Terrier was seen in the yard wiping her tongue on the grass trying to dislodge the oatmeal. I’ve never seen a dog wipe it’s tongue on the grass and I asked her to stop since the neighbors were giving us strange looks but she continued to drink water and wipe her tongue on the grass. My husband of 30 years and I love to browse antique malls. On a recent foray into an antique mall in downtown Tavares, FL we were looking around and we became separated as different displays caught our attention. 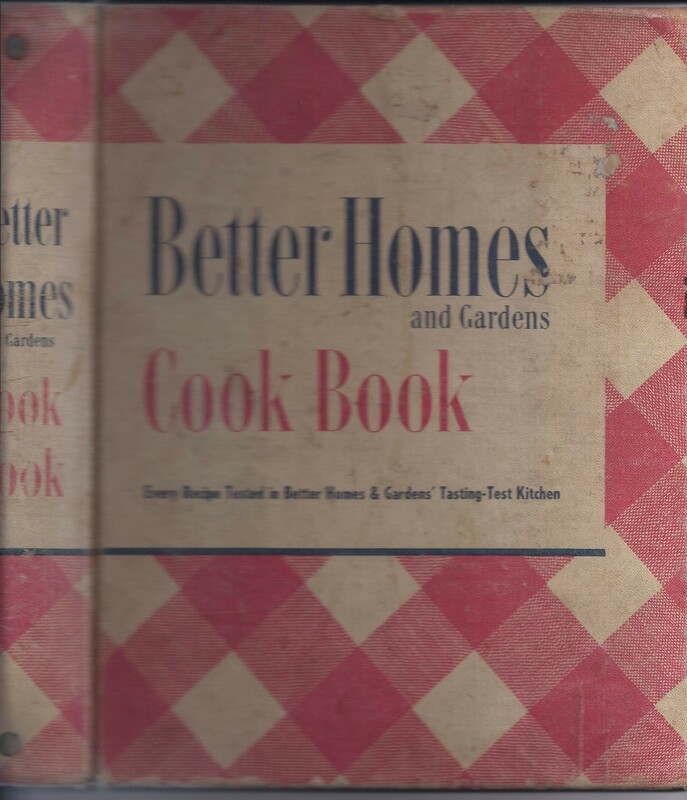 I was in a booth with frilly vintage nightgowns, flowery fabrics and other feminine things from a gentler time when I came across a 1946 Better Homes & Gardens Cook Book. I started to pick it up and look at it but the cookbook seemed to be bursting with loose papers and since I am so naturally clumsy I decided to return the book before I released it’s contents. I then went on to browse the next booth. In a few minutes my husband called me back to the booth with the cookbook and he was all excited over something he had found. He was holding the vintage cookbook I had eyed a few minutes before. 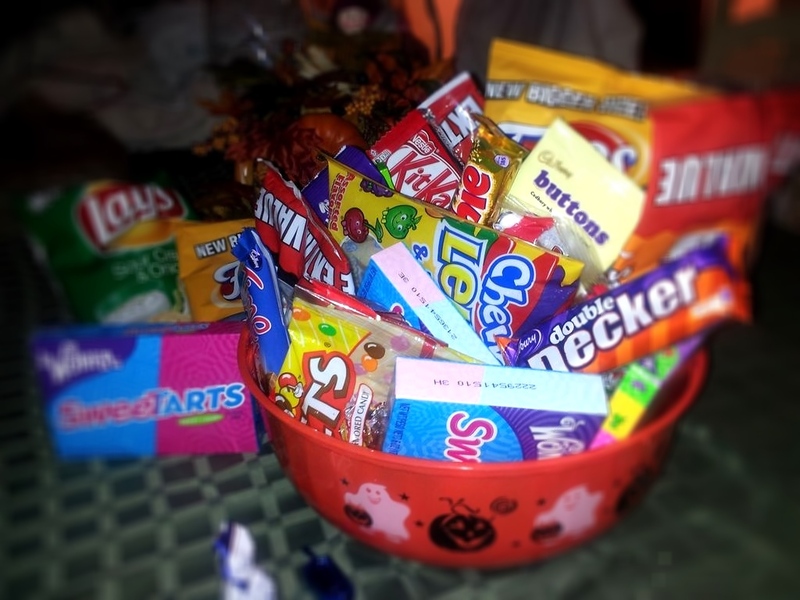 He was all excited over the loose newspaper clippings, hand written notes and recipe cards that filled the cookbook. We looked through the cookbook but there did not seem to be a price listed. I took the cookbook to the front counter to inquire about a price and the ladies behind the counter got all excited over all of the ‘extras’ that were inside the cookbook. I was already feeling possessive about the cookbook and told the ladies it was ‘mine if the price was right.’ They called the booth owner for me and pronounced the cookbook to be $8 and the vintage Better Homes & Gardens Cook Book had a new home. I would like to share with you some of the wonderful recipes, notes and photographs that decorate this 65 year old cookbook. As I look through the cookbook and the hand written notes I wonder about the original owner and I think about her hopes and dreams as she cooked an everyday meal for her family or maybe even “a casserole for Trudy’s dinner party at 7pm on Thursday” that is noted on an envelope folded into the casserole section. I hold this cookbook in My hands and wonder about the cook that held this very same cookbook in Her hands over 65 years ago.